The Signing Time Academy is the educational division of Two Little Hands Productions, creators of the award-winning programming that can be seen on Nick, Jr. and public television. Our mission is to bring the benefits of ASL and active learning to children of all abilities through Certified Instructors who offer classes, products, and personal support to parents and teachers in their communities. 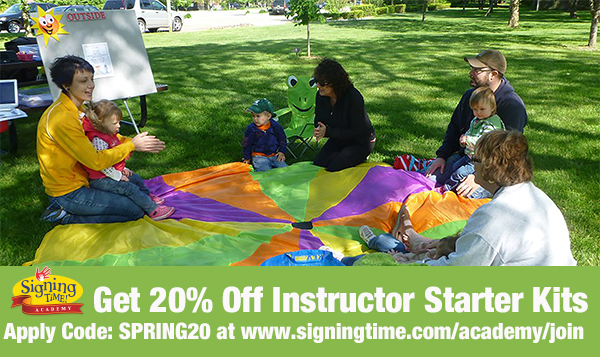 Our Instructors offer parent workshops, baby sign language classes, teacher training, home parties and free presentations.